The headline making the social media rounds today was that the disreputable Canadian pay to play company based in the province of Ontario that bought a major California based voiceover lead generation service in August 2017 is now (as expected…by me anyway) smashing the two companies together under the Mothership’s brand. No word on whether the California part of the company (specifically those ‘pesky, profit sucking employees’ – some of whom I know to be quite talented and nice people) will still have jobs following this smashing. The key to today’s announcement involved adding all the high profile union talent (SAG-AFTRA) and agencies to the Mothership’s brand. Metaphorically, the stars will now swim with the swine. To be clear, were I involved with the disreputable Canadian pay to play company (and I am very much not), I would be part of the swine. Since the two companies now being smashed together are in Canada and California, for the purposes of this blog, I will hereafter reference the two companies (now under one banner) by one smashed name: CANAFORNIA. The announcement today by Canafornia’s Mothership was written in a manner that, in my reading, attempted to make many of the union voiceover agencies and their union agents feel like the corporate smashing would be a good thing. Most agents of any size will see through Canafornia’s anticipated deceit, I believe. The company’s owner has been caught in too many falsehoods and most everybody in the voiceover industry seems to know about them. In their pronouncement, Canafornia made no mention of their past skimming of funds from the budgets of their “clients’” voiceover projects, skimming that left significantly fewer dollars for those whom these funds were intended — the voice talents. This disreputable business practice of skimming is evidently what Canafornia has been doing for sometime now on many non-union voiceover jobs. Caught red-handed on more than one occasion, they were! Denied wrong doing on more than one occasion, they did! Now, adding union talent and union voiceover agencies into the mix with this latest smelly venture, Canafornia seems positioned to make sure there will likely be less funds for union talents AND their union agents. Maybe Canafornia is the least of your concerns as a voiceover business owner, you think. Well, if your concerns for your voiceover business involve a troubling downward pricing trend for VO jobs, as well as people with significantly less VO talent than you posing as voiceover professionals and disrupting the market while these same talentless reprobates also devalue what you do for a living, then Canafornia really is a bigger concern for you. There are some voice talents who either do not believe the facts uncovered about Canafornia or are too afraid to leave a source of revenue (dwindling though it may be). 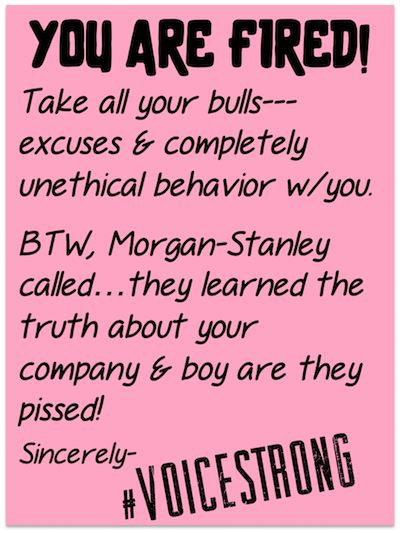 For reasons I have previously articulated on these pages, that is their right as business people —whether I agree or not. But what if you want to do something about this situation? Can anything be done? All is not lost. As a voice talent, you can take a number of proactive steps to protect your business and support your industry. The first thing I would recommend to any voice talent committed to a better and more profitable future in voiceover is either not to start or now end their business relationship with Canafornia’s pay to play side of the business. To be fair, I’m not a huge fan of the voiceover pay to play industry generally as I think it continues to devalue the voiceover marketplace. I do not invest my marketing dollars in those channels. Your mileage may vary. But Canafornia’s operation is the specific company I would directly avoid doing any business with at all. As always, just my opinion. Second, I would recommend communicating with your current agents about the topic of Canafornia. Because some voiceover agencies, which are professionally operated and wonderfully focused on serving the voiceover community, are still working with Canafornia’s west coast service. Yes, there are many voiceover agencies that have left Canafornia’s west coast service after the disreputable Canadian pay to play company bought it and I’ll talk about those agents in a moment. For those agents still working with Canafornia’s west coast service, you as a talent and their client need to have a pro-active business conversation. You’re agent could be sending you auditions for jobs where, should you land the gig, you could receive significantly less pay than was intended for you by the producer. Likewise, the agency will end up making less money for themselves in the process. In my case, I have had and continue to have conversations with those agents representing me who still disseminate voiceover project leads from Canafornia’s west coast service. I’ve also had the good fortune to speak with many other agents (some who represent me and others who do not) about this unique crossroad we are all migrating together. Why do I stay with agents who are presently still on the Canafornia’s west coast service site? Why not just cut ties if I don’t want to be involved with Canafornia? I have known these agents for a long time. I understand the challenge they (and we as VO’s) face. I respect these agents as business people, otherwise I wouldn’t have signed with them in the first place. Like voice talents working with pay to plays, there is no foolproof answer for everyone. Agents are traveling the same bumpy industry road as talents are and we are each trying to determine how to proceed for the good of our own businesses. While I have made clear to these Canafornia-involved agents that I would like to continue our representation agreements (remember not all leads come from Canafornia’s west coast service), I have told them I do not want receive auditions from Canafornia’s west coast service’s web site. Nor do I want my demos listed on their agency page on the Canafornia’s west coast service’s web site (which will be merged with the mothership’s site in late February 2018, as was announced today). I have to manage my business so I can sleep well at night. Canafornia is not an organization I wish to be even tangentially associated with. The conversations have been very positive. Agents need constructive feedback too. 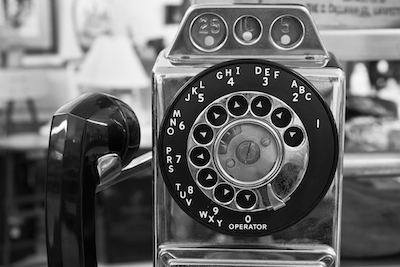 Plus, when is it ever a bad thing to have a meaningful business conversation with your agents? Answer: never. 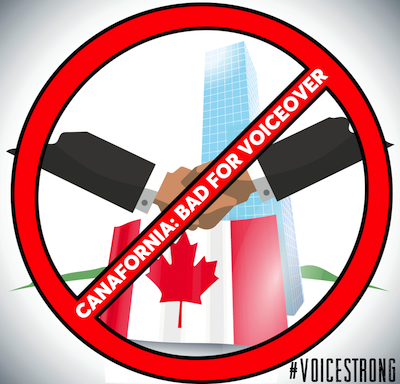 I mentioned earlier that many voiceover agencies had left Canafornia’s west coast service almost as soon as Canafornia announced the acquisition. The reason, by way of brief explanation, is that these agents are well aware of the Canafornia pay to play questionable business practices and absolutely did not trust the company would be any more responsible with Canafornia’s west coast addition. But they didn’t just sit around and lick their wounds after they fired Canafornia’s latest acquistion. 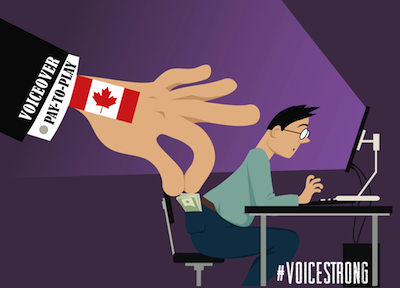 While the #voicestrong movement was growing, these voiceover talent agents spent a few months talking amongst each other (which was fairly unprecedented in and of itself) and decided that they wanted to create a voiceover related organization, centered on the agency side of the business, that would have the exact opposite business code of conduct of Canafornia. The group, called the VO Agent Alliance, resolves to implement the industry’s highest ethical standards for the benefit of talent, their representatives and their valued clients. The vetted voiceover agency members across North America include: In Both Ears, Go Voices, Sheppard Agency, Play Talent, Umberger Agency, DeSanti Talent Agency, Rockstar Entertainment, The Actors Group, Ta-Da Voiceworks, Big Mouth, The Atherton Group, Central Voice Group, Heyman Talent, Alexander White Agency and Collier Talent Agency. So what does that mean for a voice talent’s career? That’s my third piece of advice. 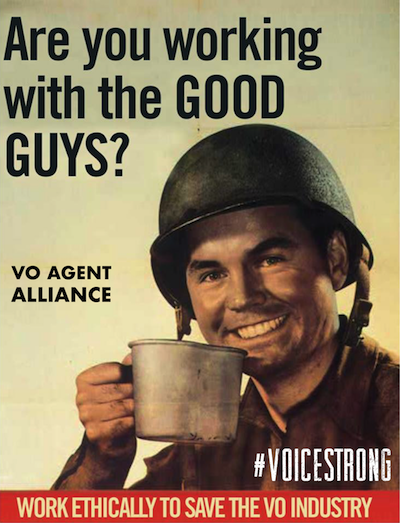 If one or more of your agents are part of the VO Agent Alliance already, you’re in better than average shape, because these folks are working hard for you as they always have. I’m fortunate to have five of my longtime agents in this group. If you are not represented by one of the Alliance agencies, you might make it a priority to scout them all out and see if you may be a fit with one or more of them. I know most of the principles at each agency and you will be well served to have them on your voiceover business team. I’m not sure if this is a matter of strong business planning or great luck but just about the time Canafornia was releasing its most recent plans to destroy the ethical and business landscape of voiceover, an internet executive with 20 years in the web business named Matt Dubois was working on a new online agency casting platform. Voice Casting Hub is the name of the platform, which is intended to replace the site acquired by Canafornia with the distinct difference that Voice Casting Hub wouldn’t be skimming off the top, as is the concern with Canafornia’s site. A fourth piece of advice would be to check this site out and register yourself as a talent. It’s free to register. The site is, as of this writing, less than a month old so it’s too early to judge its performance but it is awesome that the marketplace is responding so swiftly to this Canafornia challenge with a viable option. Monitor this, as I think it could be a great opportunity for all of us. With all the online gnashing on teeth, nothing that Canafornia or voiceover agents or alliances or hubs do can ultimately take the place of good old fashioned individual business marketing. Your primary focus as a voiceover business owner is to beat the bushes trying to get new business…YOU, not a web site or a representative. Sure, they are all part of the plan…but just A part. The rest is up to you. It is a constant, daily effort that only you can lead. Think, create, plan and do. But if you don’t have a plan, you don’t have a chance. Great, thorough education. Will be sharing. Thank you, Peter!!! (Sound of huge applause, visual of audience rising to their feet)….fantastic post that sums it all up AND syggests to us what to do about it. Bravo! I left VDC ages ago, but somewhere there is a video floating around of me singing the praises of the model as “part of marketing” . I so regret ever letting them interview me. Check the date of that video if you ever see t. It’s OLD. Thanks for reading and for your kind words. Glad it helped. Like you, back when Canafornia was much less disreputable, I had done some promotional work for them. About a year or two ago, I contacting them and asked them to remove my work and they did. Glad you liked it, thank you Natasha. Hope all is well with you.